It's been a while since I looked at Terror EK. 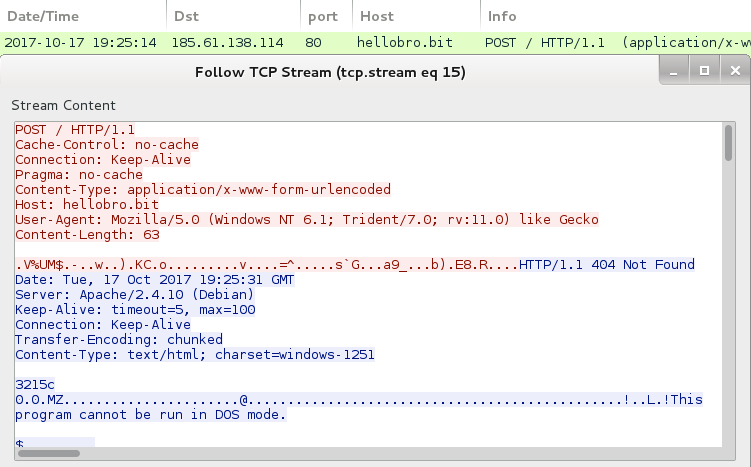 Last time I looked into it on 2017-08-29, Terror EK had briefly tried HTTPS (link). 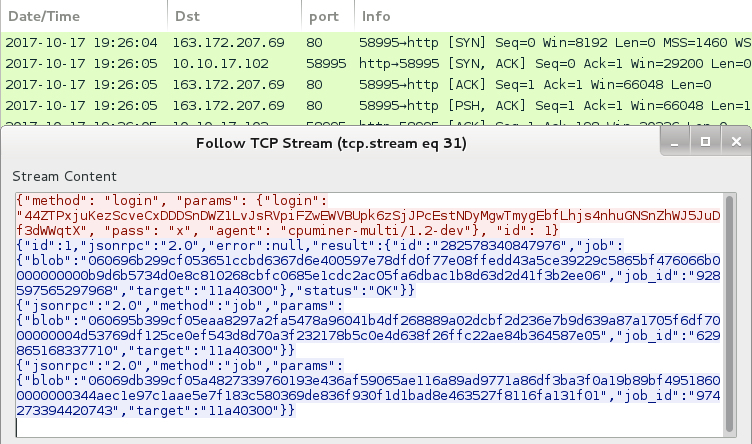 Seems like that was a short-lived phase, and Terror EK has been using regular HTTP for a while now. 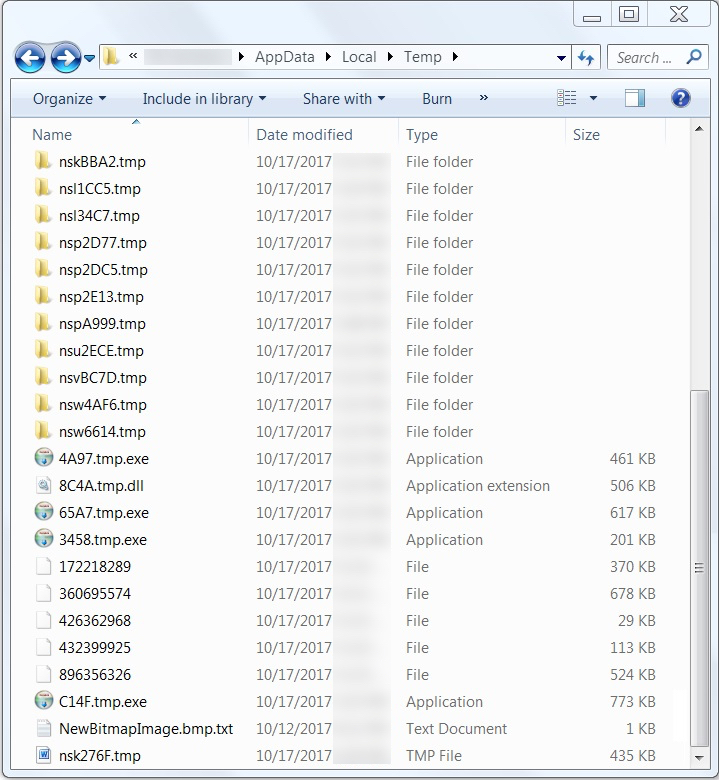 In this case, Terror EK sent Sharik/Smoke Loader, which kicked off additional malware downloads. I generated the original infection on a VM, but SmokeLoader didn't work on that, so I had to run it on a physical host. Shown above: Traffic from the original infection filtered in Wireshark. Shown above: Post-infection traffic filtered in Wireshark (1 of 2). Shown above: Post-infection traffic filtered in Wireshark (2 of 2). 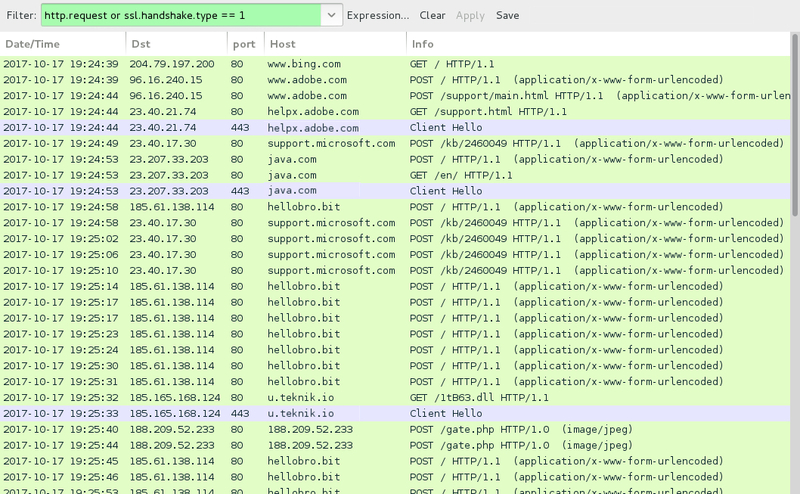 Shown above: Post-infection traffic to hellobro.bit returning more malware. Shown above: Post-infection traffic caused by DarkVNC malware. Shown above: Post-infection traffic caused by CoinMiner malware. Shown above: Alerts on Terror EK activity from the Emerging Threats (ET) ruleset using Sguil on Security Onion. 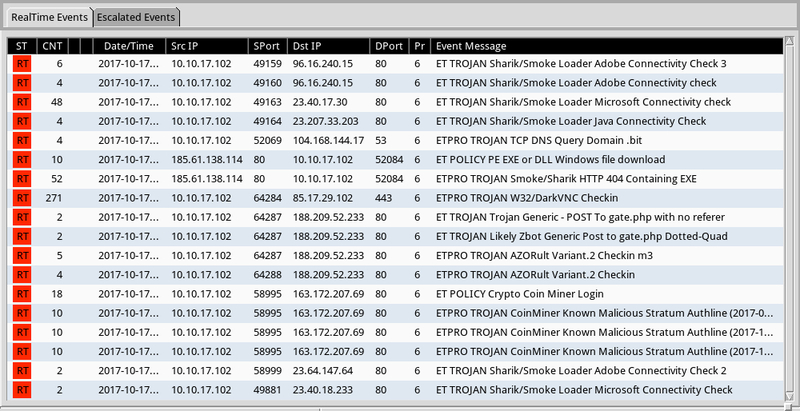 Shown above: Alerts on post-infection activity from the Emerging Threats Pro (ET Pro) ruleset using Sguil on Security Onion. Shown above: Some artifacts seen in the infected user's AppData\Local\Temp folder.